Australia’s Chief Scientist provides high-level “independent” advice to the Prime Minister and other Ministers on matters relating to science, technology and innovation. Independent, adj. 1. Free from control in action, judgment, etc; autonomous. 2. Not dependent on anything else for function, validity, etc; separate. 3. Not reliant on the support, esp. financial support, of others. 4. Capable of acting for oneself, or on one’s own. 5. A person who is not affiliated to, or who acts independently of, a political party. A respected administrator, Chubb was vice-chancellor of the Australian National University for a decade until February 2011. His research area is neuroscience. He also has been a director of the CSIRO since May 2008, now chaired by ex-investment banker and lawyer, Simon McKeon. Described as a “bold defender” of science, Chubb is defending the CSIRO’s “dangerous” anthropogenic greenhouse gas (AGHG) climate change-global warming hypothesis; and climate researchers, some of whom received anonymous threats about their work, apparently from “deniers”. Action within the next decade to lower AGHG emissions will reduce the probability and severity of climate change impacts. Chubb has tried to distance himself from promoting such “solutions”. It was not his position, he said in a senate enquiry last week, to offer a view about the merits of the Government’s carbon tax, yet he went on to say “something has to be done quickly to address the rising levels of carbon dioxide emissions”. The latest information that I’ve seen shows that the CO2 levels are high and that the rate of accumulation is accelerating. I think the scientists who study this would argue that it is getting to the point where something has to be done quickly in order to cap them at least and start to have them decrease over a sensible period of time. But how can one “just factor in natural events” when our knowledge of their causes is somewhere between partial and incomplete; when there are no laws of climate change in “the science”, or proven causal linkages? Does any climate model have genuine predictive power? Does evidence of changes in the natural world prove they are “dangerous” and wholly our fault? Is public confidence in climate science low because of its reluctance – or inability – to answer such questions? Multi-million dollar advertising campaigns depicting carbon dioxide as “carbon pollution” are not working. Will monetising carbon dioxide (taxing us) really enable the government to, as it claims, manipulate the climate, the frequency of “extreme weather events”, save national “icons” and so on? Some also wonder about the CSIRO’s answer to its own question: “If scientists are unable to forecast next week’s weather accurately, how can they predict the climate in the next 50 to 100 years?” How, indeed? If my computerised crystal ball can’t predict this year’s Melbourne Cup winner, by what magic can it identify the place getters in 2111? The government also expects the chief scientist to be “a champion of science, research and the role of evidence”, and to promote “evidence-based thinking”. But what qualifies as evidence in the climate change debate? The Commission also describes itself as an “independent” body, set up to “provide reliable and authoritative” information on climate change. Yet where is the empirical evidence supporting its claim that WA climate change is a direct consequence of AGHG emissions? Does the Commission – and the CSIRO – really know why northwest WA is experiencing “a trend towards a wetter climate”, while the state’s southwest corner has become “markedly drier”? How much confidence can we have in its predictions that, for example, WA’s wheat yield will be “significantly reduced by 2070”, with a “potential almost doubling” of the number of days over 35ºC in Perth? If there is solid empirical evidence – not speculative prognostications from climate models – for an alleged causal connection between observed decadal changes in WA’s climate and AGHG emissions, perhaps the chief scientist could ask these groups to place it in the public domain for scrutiny? If they do not have such evidence, can they explain how “decarbonising our economy” will “minimise WA climate change risks” and improve the outlook for local threatened species, such as Carnaby’s cockatoo and the two-legged homo sapiens? Professor Chubb also suggests scientists have not done well “selling themselves and their work”. Drs Bryson Bates and Carsten Frederiksen, are project managers of the Indian Ocean Climate Initiative (IOCI), a partnership between the WA State Government, CSIRO and BOM. They were asked to comment on the above issues several months ago. Why have they chosen to remain silent, given the high level of public interest? In an ABC Four Corners program last month, “The Carbon War”, Chubb urged politicians “to look at all the evidence and to wonder why it might be that something like 32 national academies of science all around the world are all saying that it’s very likely that human activity has adversely affected our climate through global warming. Why would they do that, if it were not true?” Why, indeed? He is not alone. Others also believe that because many (invariably government-funded) “peer-group-assessed” climate scientists agree on the “nature and urgency of the climate challenge”, we should accept their perspective and not urge closer scrutiny. But does science advance by consensus? The suggestion it does resembles an argumentum ad numerum, also known as the bandwagon fallacy. A proposition – in this case, AGHG global warming and its alleged ‘dangerous’ consequences – is surely not true solely because many – be they a group of mathematicians, computer scientists, lawyers, politicians, religious evangelists or witch hunters – believe it to be true? Science is not a democracy. Scientific knowledge does not advance by consensus. It does not advance at all if statements and hypotheses claimed to be scientific are, in a fundamental sense, unfalsifiable; or if they make predictions (or projections) so distant, ambiguous or absurd they are meaningless. In early September, Ivar Glaever, the Norwegian American 1973 physics Nobel prize winner, publicly released his resignation letter to the American Physical Society. Did the chief scientist, or any of his 32 national academies, read it? Did the AGHG consensus decide it was of no consequence? The evidence of global warming is incontrovertible? The claim – how can you measure the average temperature of the whole earth for a whole year? – is that the temperature has changed from approximately 288.0 to approximately 288.8 degree Kelvin (14.85 to 15.65 Celsius) in about 150 years, which (if true) means to me is that the temperature has been amazingly stable, and both human health and happiness have definitely improved in this ‘warming’ period. There was another controversy about consensus eighty years ago. 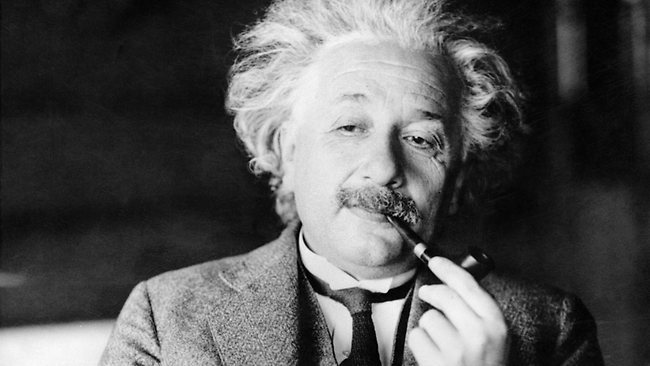 When a pamphlet, One Hundred Authors against Einstein, was published in Germany in 1931, Einstein, then a Professor at the Berlin Academy of Sciences, reportedly said: "Why one hundred? If I were wrong, then one would have been enough!"